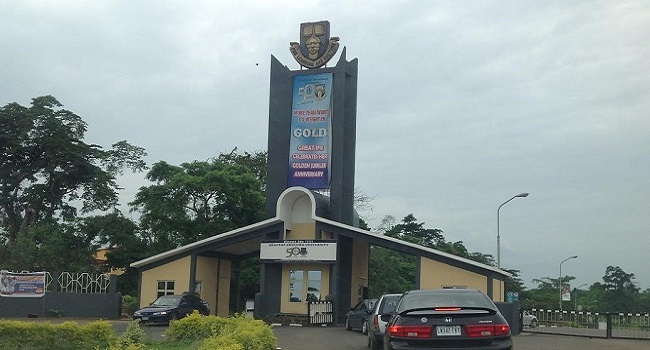 The management of the Obafemi Awolowo University, Osun State has suspended four of its students allegedly said to have engaged in criminal activities. It was gathered that the Vice Chancellor of the University, Professor Eyitope Ogunbodede, approved their immediate suspension, following the investigation of the police and pending its outcome. The affected students include Omole Ibukun Ayodele, studying Civil Engineering, Jacob Tosin Grace, in the Faculty of Law. Others are Udeh John, a student in the department of Arts and Social Sciences and one Oluwalade Babatunde, said to be studying English. Confirming the development, OAU Public Relations Officer, Mr Abiodun Olarewaju, in a statement, said the students led some other persons in protest and violently disrupted academic and extra-curricular activities of the University by forcefully chasing other students out of the lecture halls under the guise of demonstrating against an alleged unsatisfactory power supply to the campus. “The students, together with other persons, vandalised commercial transport vehicles of the members of the National Union of Road Transport Workers in Ile-Ife, and drove two other vehicles to more police stations where other students being interrogated by the police were forcefully released by their group. “The Vice-Chancellor of the University, Professor Eyitope Ogunbodede, upon careful review of the facts and circumstances of the matter, has come to the inevitable conclusion that the students involved be suspended from the University in the interim, pending police investigation and until such time as the situation shall have been reviewed and resolved,” Olarewaju said. Following their alleged misconducts, the students were further ordered “to vacate the campus and are accordingly forbidden to participate in any activity of the University, either within or outside the campus. “The University management has, therefore, advised law-abiding students to concentrate on their studies and shun any act or utterance that is capable of elongating the academic calendar beyond the stipulated period,” the statement read.